It had been a Second Coming sky all day, which meant they might be in heaven by this evening. So begins the uproarious and tender tale of Roxanne Fish, daughter of Sister Zelda Fish and Pastor Winston Fish of the First Assembly of God Church of Ames, Iowa, who believe fervently in the imminent return of Jesus to take the Christians up to heaven. The Fishes’ older daughter, Colleen, wants no part of their exuberant faith (“Where are you going, young lady?” “To find my real family!”), but Roxy longs to be saved even as she fears her sinful desires, such as marrying Elvis Presley when she grows up. If she grows up. Roxy lives in a world populated by angels with blue noses and demons who follow her around whispering “God doesn’t like you.” And sinners, sinners everywhere, easily identifiable by their makeup and capri pants and knowledge of television programs. Her soul’s journey through this wicked world to her own particular salvation—with an assist from the Queen of Soul herself, Aretha Franklin—is unforgettable.Rhoda Huffey’s affection for her characters shines in every line. She handles large themes with a sure hand, perfect comic timing, and an utter originality that make The Hallelujah Side a joy. The daughter of two Pentecostal preachers, Rhoda Huffey lives in Venice Beach, California. She is a magazine writer and a tap dancer who teaches and performs extensively. 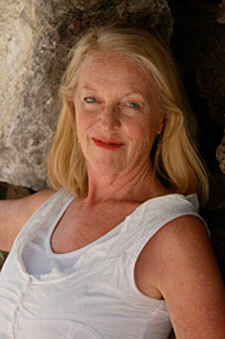 She also holds an MFA from the University of California at Irvine, and has been published in Ploughshares. 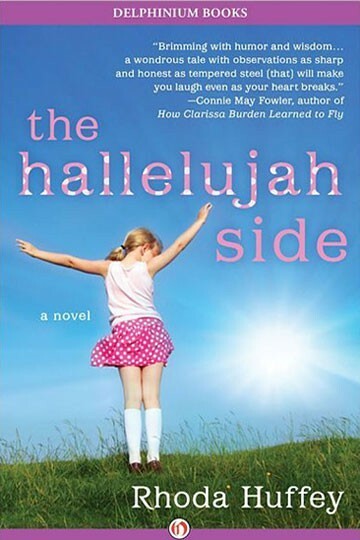 The Hallelujah Side is her first novel.